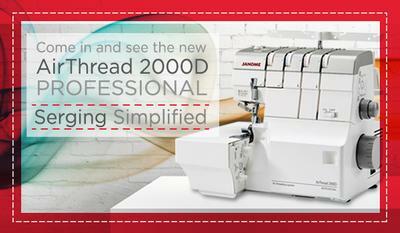 The new Janome One-Push Air threading serger is now in store! Stop by today for a quick and easy demonstration. © Copyright 2019 Harbour Sew & Vac | Site Produced by Clarity Connect, Inc.